INDIANAPOLIS, April 12, 2019 – Evita Griskenas of Orland Park, Ill./North Shore Rhythmic Gymnastics Center, advanced to the hoop final at the Sofia (Bulgaria) World Cup this weekend at the Arena Armeec, along with the U.S. senior group that qualified to the 5 balls final. Competition continues tomorrow with all-around finals and two event qualifications, with event finals on April 14. After two events, Griskenas is eighth in the all-around rankings, with Camilla Feeley of Deerfield, Ill/North Shore Rhythmic Gymnastics Center, in 29th. Russia’s Aleksandra Soldatova claimed the best all-around score at the halfway mark. The all-around champion will be determined at the conclusion of the April 13 sessions. Griskenas earned a 19.400 in the hoop qualification round, which put her in eighth and the event final. Feeley’s 17.400 gave her the 20th spot. Russia’s Ekaterina Selezneva tallied the best score with a 21.300. In the ball qualification round, Griskenas was 12th at 18.950, and Feeley was 32nd at 16.350. Soldatova had the top mark of 21.800. The U.S. group was eighth in 5 balls (20.650), which qualified them to the event final, and are eight in the all-around ranking. Tomorrow groups will compete in the 3 hoops/4 clubs qualification, which wraps up the all-around. Bulgaria sits atop the rankings at 24.950. The members of the U.S. senior group, which trains at North Shore Rhythmic Gymnastics Center, are: Isabelle Connor of Manhattan Beach, Calif.; Connie Du of Deerfield, Ill.; Yelyzaveta Merenzon of Buffalo Grove, Ill.; Elizaveta Pletneva of Deerfield; Nicole Sladkov of Vernon Hills, Ill.; and Kristina Sobolevskaya of Chicago. The all-around concludes on April 13, and the top eight gymnasts for each event, with a maximum of two per country, advance to the event finals. For group, the all-around is also determined on the 13th, with the top eight groups for each event qualifying to the event finals. Tie-breaking rules are in effect. The remaining competition schedule, which is subject to change, is: April 13 – clubs and ribbon qualifications at 10:30 a.m., 12:35 p.m. and 3 p.m., with group 3 hoops/four clubs qualifications at 5:20 p.m. and 6:10 p.m.; and April 14 – event finals at 4 p.m. All times are local to Sofia, which is seven hours ahead of the U.S. Eastern time zone. 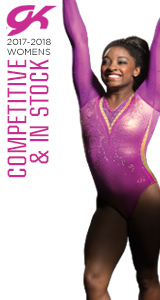 Fans can find additional information on the event’s Facebook page and official website, along with usgym.org. On April 14, OlympicChannel.com will have a livestream at 9:45 a.m., and the Olympic Channel will telecast the finals tape-delayed at 8 p.m., with a simulcast.